Curvy small-town painter Kesley Enkel loves her meddling family and her close-knit town of secret shifters, but is unlucky in love—until handsome billionaire Jameson walks into her life. After the mysterious crash of his private plane, Jameson Dandridge III has no memory of his previous life. 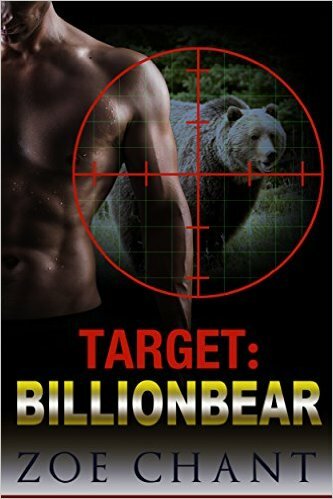 All the amnesiac bear shifter knows is that someone is trying to kill him. He plans to lie low in a peaceful small town while he figures out who he is and who wants him dead. Then he spots Kelsey. And while Jameson isn't sure of anything else, his bear is certain that the curvy artist is his mate. From heart-pounding battles to sizzling encounters under the stars, Jameson and Kesley fall headfirst into passion when they team up to fight Jameson's enemies. Together they struggle to recover his memory and find out who is trying to kill him before the entire town goes up in flames. Which will win: danger or love?